Coming back to a city which we have already visited is a way to rediscover it. Getting lost among its streets once again allow us to see the place in new light and to pay attention to little things that were overlooked during our first visit. Have you ever had the feeling of rediscovering a city? In the year 1294 this antique church belonged to the dominicos, during the second world war this place turned into a hospital. After it was abandoned, the town hall of Maastricht sold it to a company which built a three floors bookstore. Walking around its hallways the visitor can find tourists taking pictures, book lovers, a cafeteria (to enjoy both, a good coffee and a good book) and renowned authors signing their last novels to their fans. Those are the main reasons why this place is considered as one of the most impressive bookstores of the world. This huge basilica is formed by cute stained glasses and an impressive altar. However, I would like to recommend you to look down to the floor, so that you can appreciate the maze located in one wing of Saint Servatius basilica. 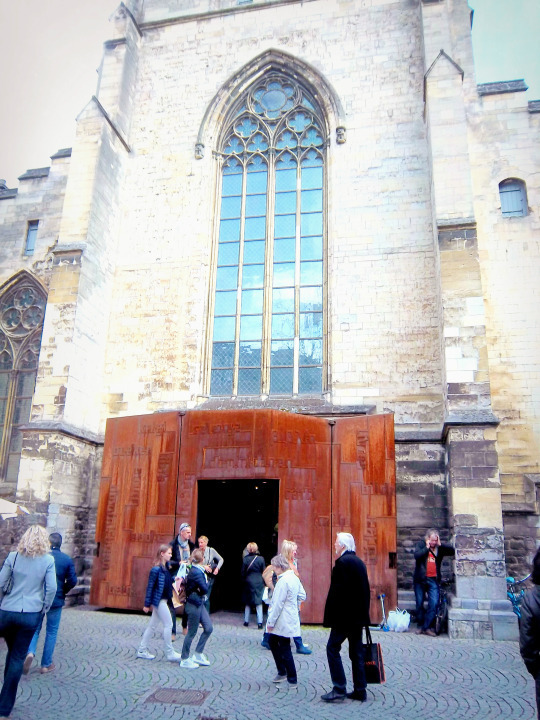 Here you can find a post that we wrote regarding the history of Saint Servatius labyrinth. We hope you enjoy it! This time we would like to ask you to look down again, since you can find here a commemorative monument of the Maastricht Treaty. It is said that the treaty took place in the city of Maastricht due to its proximity to the german and the belgium border, which provides the city with an european atmosphere hardly to find in other places of europe. Close to the monument there is a modern bridge from where the view of the city is amazing. Each time we visit our Dutch neighbours means a new discovery. Therefore we love traveling to the Netherlands and spending the day walking among its antique buildings. What about you? Have you ever surprised yourself by rediscovering a city?